Director Peter Jackson has defended shooting The Hobbit trilogy in a new format at 48 frames per second after a mixed response from film critics. Since 1927, the standard frame rate – the number of frames or images that are projected per second – has been 24 frames per second. “24 frames is jarring to me now,” said Peter Jackson. “It looks primitive. Change is good, it takes people some time to get used to it,” he added. However, viewers will only be able to watch the film being projected at the increased frame rate in a small proportion of cinemas. Most will be showing the film at the traditional rate of 24 frames per second. The Independent said 48 frames per second was “kitsch and alienating”, while the Telegraph said it gives the film “a sickly sheen of fakeness”. The Hobbit: An Unexpected Journey, the first in Peter Jackson’s series of three films adapting JRR Tolkien’s classic book, opens in cinemas in the UK on Thursday and in the US on Friday. Andy Serkis, who reprises the role of Gollum from the Lord of the Rings film, concurred with Jackson on the 48 frames per second. Despite being happy with the end result, Peter Jackson said he did not expect The Hobbit to win any Oscars next year. “I think they gave us our Oscars for Return of the King (the final instalment of the Lord of the Rings trilogy). “I don’t think there’ll be any Oscars this time round which is fine, it actually takes the pressure off. Meanwhile, a parody of The Hobbit: An Unexpected Journey, was stopped from going on sale when a US District Court in California granted a temporary restraining order on Monday. Global Asylum, a film company that makes parodies of blockbuster films such as Transmorphers, based on Transformers, was set to release Age of the Hobbits on Tuesday on DVD. The studios making The Hobbit – Warner Bros and New Line MGM, along with producer Saul Zaentz – had asked the court to prevent the release. The court for the central district of California granted their request, as Judge Phillip S. Gutierrez said that they had satisfied the legal standard for a temporary restraining order. The applicant has to demonstrate that there is a valid copyright infringement claim, that there would be danger to the plaintiff if the order is not granted, that the plaintiff would suffer more and that the order would advance the public interest. 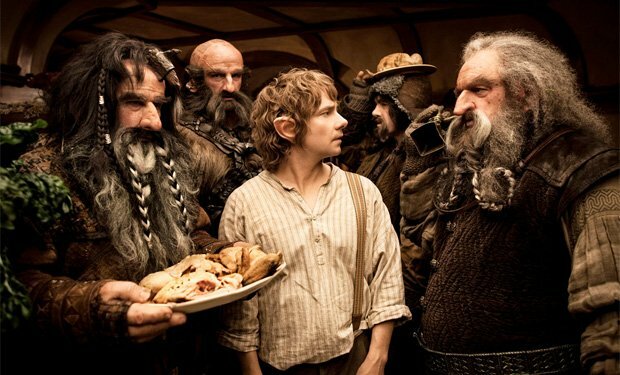 Global Asylum had argued that its film was not trying to deceive viewers or use the debut of The Hobbit: An Unexpected Journey to boost its own profits.